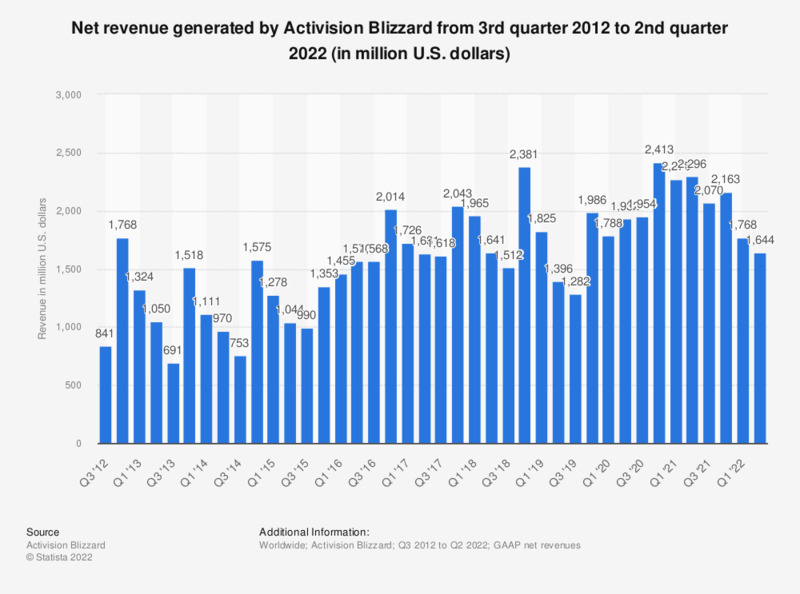 This statistic depicts the quarterly net revenue generated by Activision Blizzard from the third quarter of 2012 to the fourth quarter of 2018. In the last measured quarter, the company's revenue reached 2.38 billion U.S. dollars. Figures other than for Q4 2017 and 2018 come from Activision Blizzard's earlier financial releases. Figures for 2008 to 2010 are available in the download file.